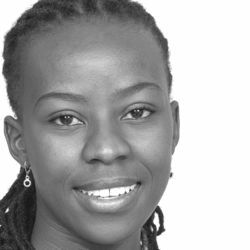 Nkamoheleng Mokhesi joined HE2RO as a Data Capturer in March 2013. Her duties include identifying hardcopies of study files, capturing cleaning and filing of data and capturing on Redcap. Prior to joining HE2RO she worked with Right to Care as an Admin Clerk and Data Capturer. She is working on several projects currently namely, the “Baseline Study”, “Paediatric Orphans Study”, “Breast Condition Study” etc.